Glenbrook Vintage Railway is an operational steam hauled railway that gives the visitor a 15 kilometre round trip through rural South Auckland. 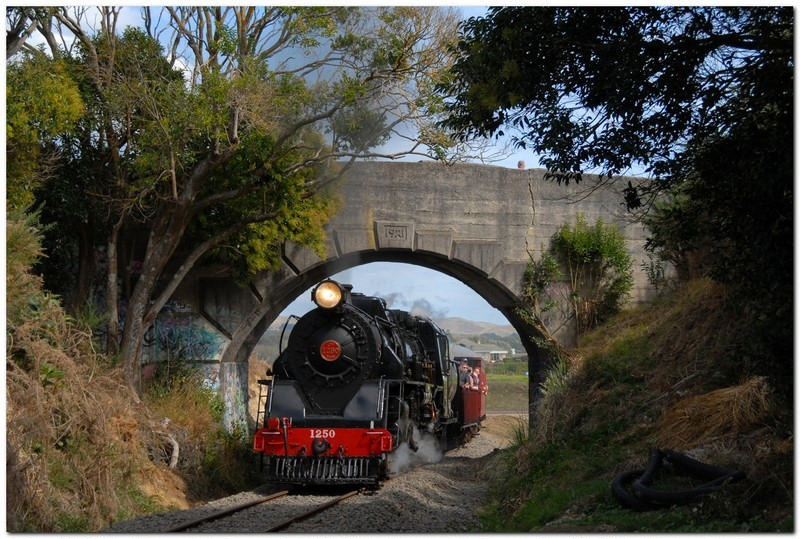 The Railway provides a nostalgic trip back to the past when steam locomotives hauled passenger trains. Hand and jigger rides are available to experience another form of rail transport. Steam and Diesel locomotives, including the only Mallet Bush Steam locomotive in New Zealand, haul vintage wooden carriages. A visit to the workshop is included in the ride. The railway is fully staffed by volunteers. Volunteers are required for train operations - engine drivers (subject to the railways training requirements), fireman, train controller, guards, assistant guards. Commercial Branch - ticket sellers, refreshment room & bookstall staff, general station duites. Please contact the railway for further details.